Leatherwork is a meticulous activity on which we are regularly interrogated. Where do the skins come from? How do we select them? Which skin corresponds best to that type of creation? 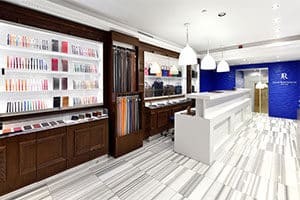 How do we guarantee the quality of leathers? 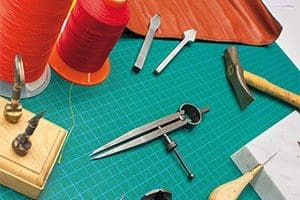 I like to answer these questions since I was educated about leathers when I was little. When my father restarted the tannery within the Manufacture, he and the tanners taught me how to consider a skin and how to work on it. Today, our creations are made of crocodilians (alligators and crocodiles), calf, ostrich, shark, lizard, python, shagreen (a ray) and goat. 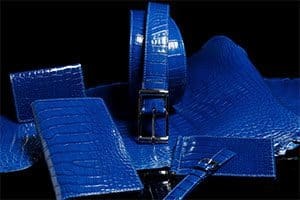 They are selected with great caution within Europeans tanneries and independent farms. Some of them – reptiles, goats and sharks – are bought as crust and then tainted inside our tannery. 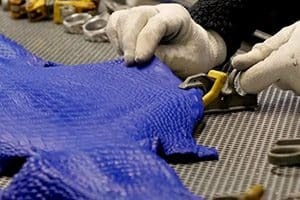 We indeed work on skins ourselves to maintain the quality of our production and be able to satisfy any personalized demand from our customers. 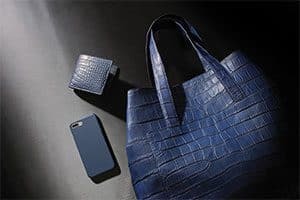 Alligator skin is considered as the most precious for it is rare and particularly refined but shagreen leathers also fascinate me. The ray produces a mineral called silica that covers its skin with little shiny grains, “caviar grains” as we name them at Jean Rousseau. The skin can also be sanded and glittering little pearls then appear. They are like precious stones! Shagreen leathers are also very tough: Asian cultures used them to beautify their bows and swords but also to strengthen them. One must indeed remember that all skins do not fit all purposes. For small leather goods, we have worked on a new workmanship that makes skins more suitable to a daily use. 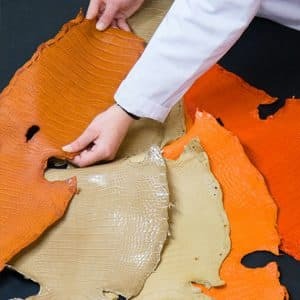 Indeed, while some people appreciate very natural leathers, such as vegetal calf, they tend to forget that these leathers will change over time. It is not a problem in itself since aging leathers are beautiful but it is important to know it will happen. This question of quality perception is particularly interesting. When clients see differences between two creations or realize scales are not always regular, they sometimes think it’s a default. It is not. Each natural skin has its own singularity, like a footprint. As soon as we explain it to our clients, they see exactly what we see ourselves in a skin: quite a story. Manufacture Jean Rousseau was awarded France excellence label for the 3rd time!